One of my goals this year is to continue to expand my knowledge on health topics and to share it with you. I’ve been a “retired” health coach for about a year and a half now and part of me misses it. It kept me more in-the-know and I loved helping people reach their goals. I figured as a full time mom I can at least bring back the learning part, right? So, why salts? Well, I have a habit of freely swapping ingredients recipes call for. One of my biggest offenders is salt. The recipe calls for sea salt and I pour in table salt without thinking twice. I always wondered if there was ever much of a difference, so I decided to look into it. Turns out, there is some difference! I grabbed 3 types of salts to compare. I promise Morton didn’t sponsor this, though it may appear otherwise. 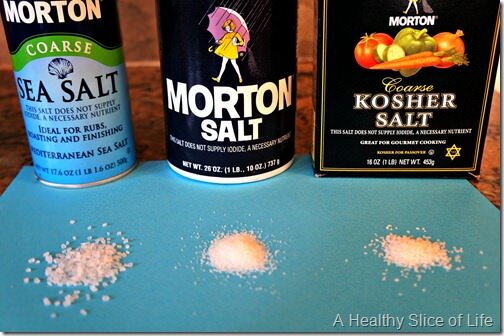 Each salt has a serving size of 1/4 tsp, which makes it easy to compare labels. 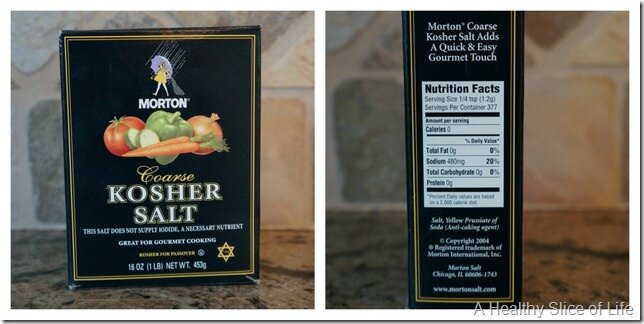 Of the three salts featured above, Kosher has the least amount of sodium per serving at 480mg, followed by sea salt at 560mg and table at 590mg. How is that possible? Well the answer is in the size and shape of the crystals. 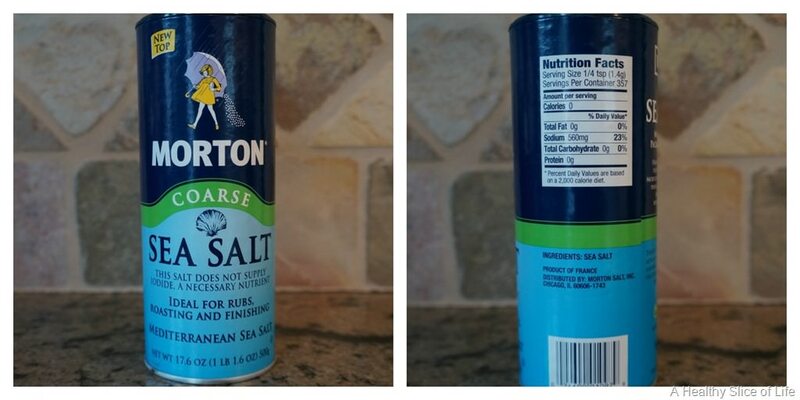 Sea salt has larger, oddly shaped crystals making its 1/4 tsp less dense than the table salt and therefore lower in sodium content by measurement comparison. 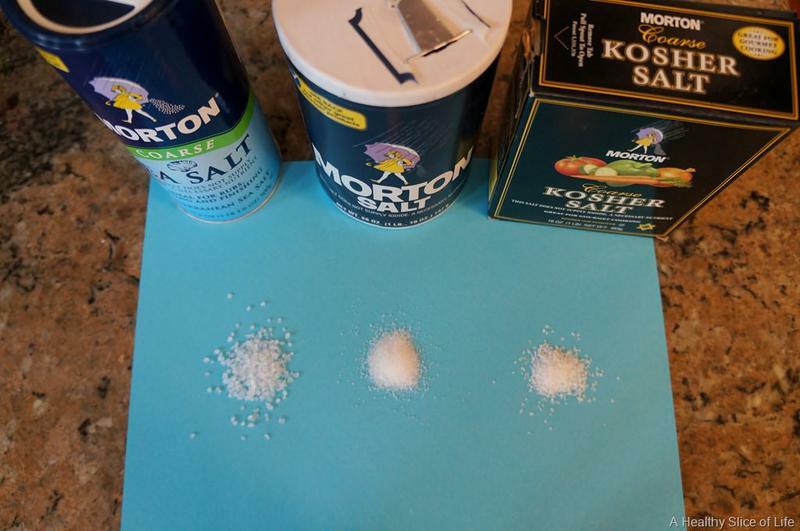 The coarse Kosher salt is actually shaped into flakes instead of granules, which makes its 1/4 tsp even less dense, therefore lowering it’s sodium content per 1/4 tsp. 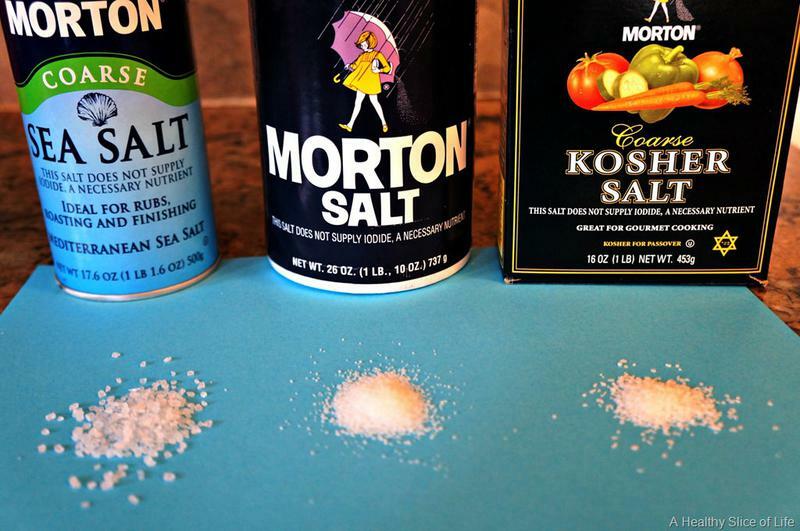 In reality, no type of salt actually has less sodium than another, so don’t believe the hype. Sea salt is derived from (duh) the evaporation of seawater (you can even make your own sea salt!) which allows the salt to maintain most of it’s magnesium, calcium and other mineral components, thanks to minimal processing. Many chefs say that this gives sea salt better flavor for cooking. Table salt is derived from underground salt deposits. 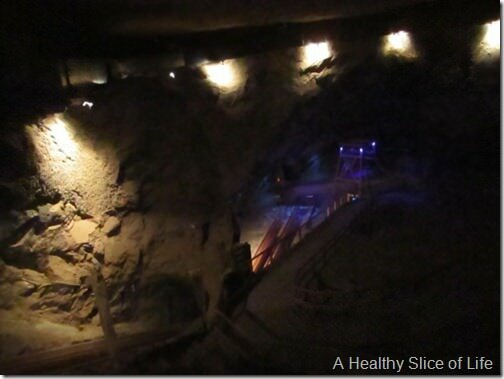 *Fun Fact* – I actually toured a salt mine in Salzburg, Austria! It was way down deep, kind of creepy and awesome. Adorable picture, I know. And yes, I really licked it. It tasted like, well, salt! If iodized, which Morton’s is NOT, table salt has iodine added for thyroid health. It also has an anti-caking agent added to prevent clumping and ensure the smooth flow. It is more heavily processed and is stripped of most of its natural minerals during processing. 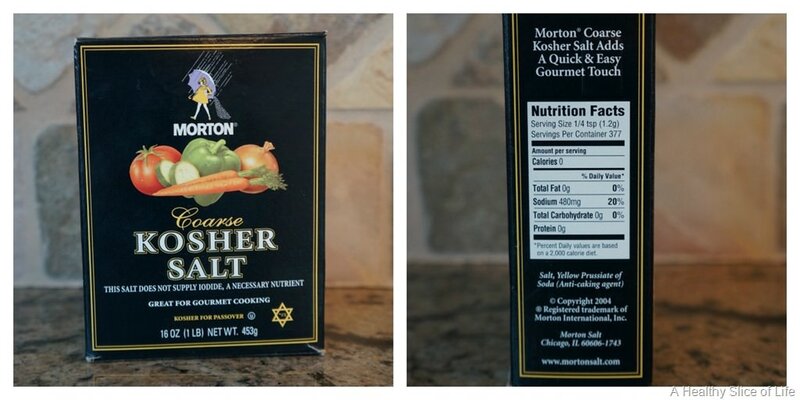 Kosher salt is pure sodium chloride without any additives, meaning no anti-caking agent so it is pure and can be used for koshering. It is cut into large flakes instead of granules, which makes it easier for the salt to pull the blood out of meat easier during the koshering process. Also, with the increased surface area of the kosher flake versus granule, you will get more salt flavor with less salt. Oddly, my kosher salt has an additive, a anti-caking agent, so that kind of throws me for a loop! It is, however, cut into large flakes, which makes David like it best for sprinkling on avocado. To sum things up, use table salt for baking, sea salt for cooking and kosher salt for a finished product… unless you are going to get into true finishing salts (like the famous pink Himalayan salt). But that’s a topic for another day! Whew, there it is- more than you ever cared to know about salt. Do you have any health food questions that you always were curious about? I used to be curious about sweet potatoes vs russet potatoes until I did I little research and was surprised by the outcome! We bought a Himilayan salt lamp recently (which has since broken) and my husband and I both, on separate occasions, tasted it! This is really interesting. 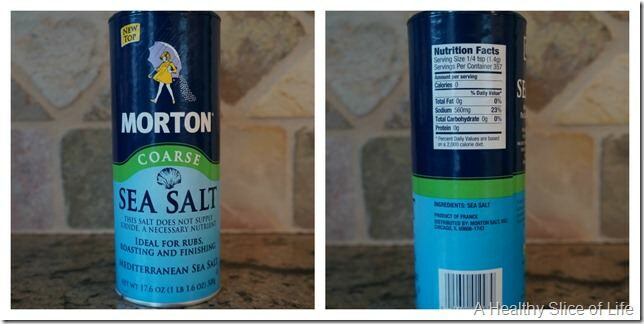 Have not known that different types of salt can be different in sodium. Thanks for sharing this. I won’t mind if you start your health coaching here on your blog again. blackhuff recently posted..Are you allowed? Cool info! I keep fine sea salt in my cupboard and I pretty much use that for everything in the kitchen, I’m too lazy to remember to stock the multiple types. So far it has worked out, but maybe I should start buying table salt again? So much information! Thanks for doing all the research for the rest of us, Brittany! 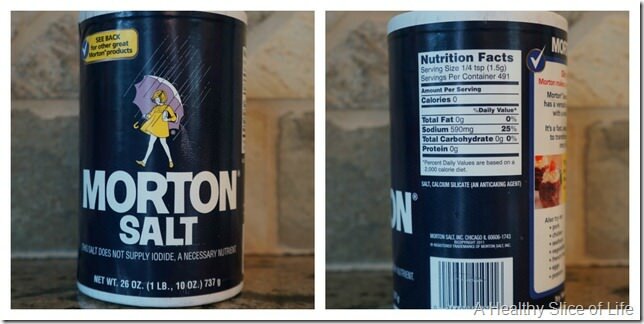 There is also “Real” salt… which is either a brand name or also you can get the same thing in some natural stores in the bulk bins. It’s just straight up non-filtered, all natural no added anti-caking agents, all the minerals and healthy goodies in real salt. It looks a bit dirty you might think, but that’s just all the minerals. Isn’t it amazing all the little differences and things in foods you wouldn’t normally think twice about? Thanks for sharing it all! I know I learned something – like the flakes and anti caking stuff. Who would have thought? I also think it’s interesting how the chemistry of baked goods can change so easily … it could be based on if the butter is softened vs. cold vs. melted, or if you use cake or regular flour, etc etc. Kristen @ notsodomesticated recently posted..Christmas in Florida: My idea of a &ldquo;white&rdquo; (sand) Christmas. So interesting! I didn’t know that you’re supposed to use different kinds of salts for different purposes. We buy Kosher salt and I just use it for everything! It doesn’t seem to affect taste too much, but maybe I’ll start to “follow the rules” and see if I can taste a difference. That’s so interesting! I’ve always wondered what the differences were.